Spend a lot of time dreaming about skiing? We did too, so fifteen years ago we decided to start spending our winters in the Alps. Now Alan is a Ski instructor with the Arlberg Ski School in St Anton, and Michelle is a Telemark instructor with Ski4Real. 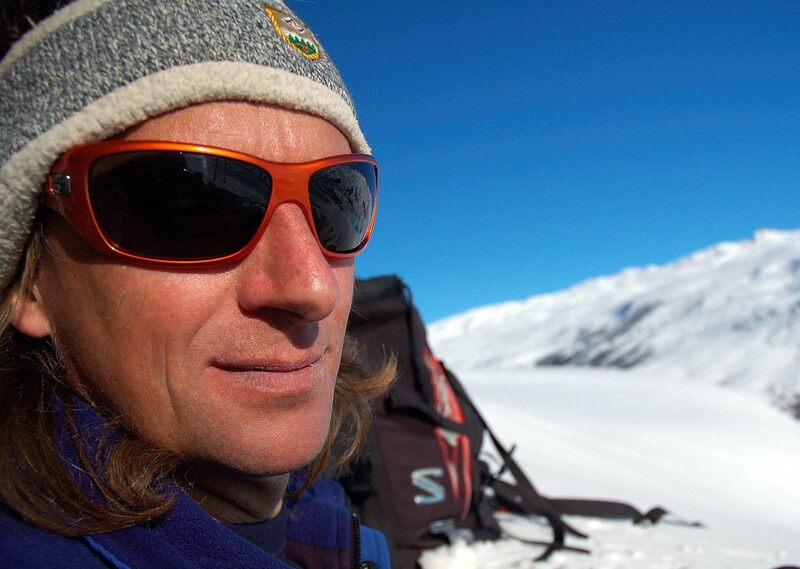 Alan has been skiing since he was eleven and has spent most of the past fifteen seasons in Les Trois Vallees, France before training as an instructor in Austria. He is now in his fourth season in St Anton teaching Alpine skiing. Alan’s many years of skiing for fun have given him a genuine appreciation of why people come to the mountains and how to help them get the maximum enjoyment from their skiing. If the idea of having to keep up with your family as they zoom off downhill takes the edge off your enthusiasm, he’s the ideal person help you regain your composure. 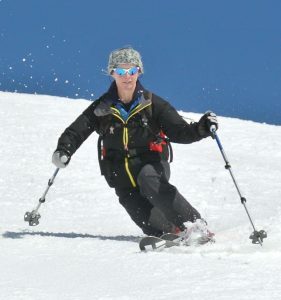 On the other hand, if you’d like to ski bumps until your legs no longer go up and down, he can do that too! He’ll also make sure you get to the best restaurants and bars, all of which contributes to a great day out on the mountain. Michelle started Telemark skiing about twenty years ago and chucked out her Alpine skis. She trained as a Telemark instructor with BASI, who offer one of the few specialist routes in Telemark (the other being the Norwegians of course!) and now teaches with Ski4Real. Based in St Anton through most of the winter, she also travels to other locations and teaches the armed services as well as private clients. If you’re getting bored with Alpine skiing and want a new challenge, give Telemark a go. Kit can easily be rented in St Anton. It adds interest to even the most benign blue piste and can be a great way of revitalising your skiing whilst cruising the mountain with your family. But Telemark really comes into it’s own off-piste – this really is ‘have skis will travel’ territory, with lighter bindings and the freedom to move naturally giving a greater connection with the snow. If you’d like to really get the powder coming over your head, get into Tele! For more information, take a look at Ski4Real or get in touch with Michelle. Michelle is also a qualified Sports Therapist and has a BSc in Sports Science.